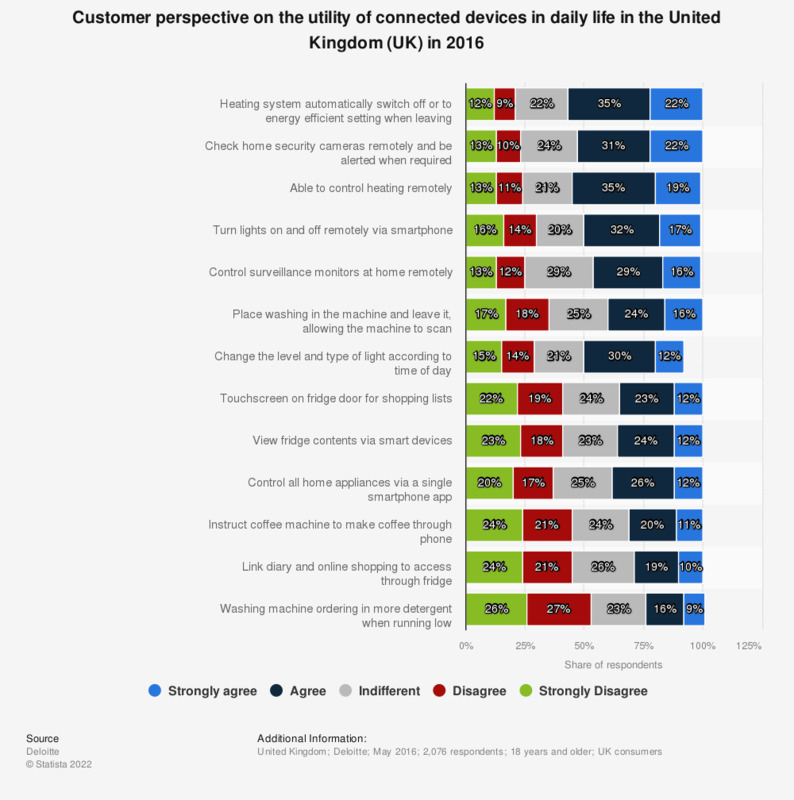 This statistic displays the degree of perceived utility and the desire of respondents for smart devices in their daily lives in the United Kingdom (UK) in 2016. The majority of positive responses are concentrated on energy efficiency and home security. The source does not provide information as to why the percentage points do not add up to 100 percent.